THE NEWLY published THE NEWLY published New Ross Town and Environs Development Plan 2011-2017, which sets out the planning policies and objectives for the Barrowside Town over the coming years, will be officially launched at the Dunbrody Centre this Thursday evening. 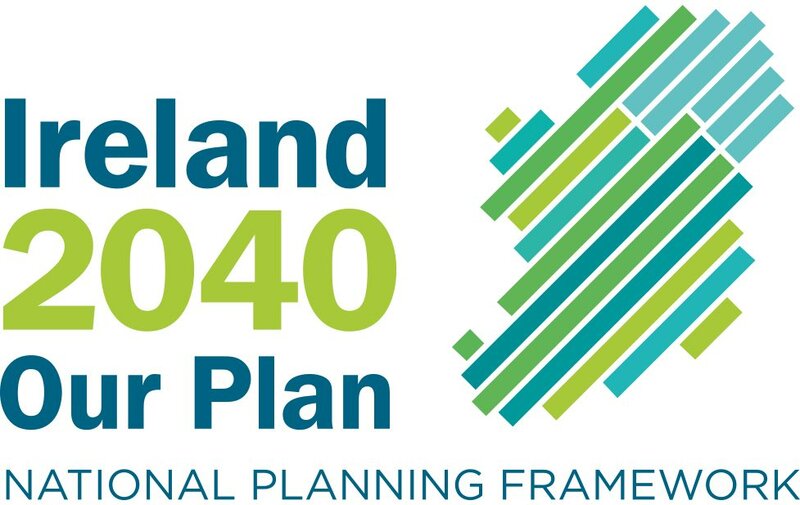 Jointly prepared and adopted by New Ross Town and Wexford County Councils, this is a statutory public document that sets out the policies and objectives for the proper planning and sustainable development of New Ross Town until 2017. In preparation for the adoption and publishing of this Plan, which came into effect last March, there were three public meetings, three public display periods totalling 24 weeks, fifty submissions, eight town and county council meetings, including a meeting with Kilkenny County Council, meetings with the Department of Environment, Heritage and Local Government and with the Office of Public Works. The plan covers a wide range of issues which include employment, transport, infrastructure, housing, community and education facilities, recreation and open space, tourism, arts and culture, conservation and heritage. It includes the first Core Strategy prepared by the Councils - an evidence-based approach to land use planning, closely matching population projections with land use zoning requirements - which resulted in a reduction in the amount of undeveloped residential zoned land from 184 acres in the 2004 plan to 96 acres in the current plan. The first Strategic Flood Risk Assessment prepared by the Councils - in fact one of the first such detailed assessments at town plan level in the country - is also included. It provides an assessment of the types of flood risk to the town and environs, which in turn informed land-use planning decisions for the plan area. Serious consideration was given to the zoning of lands which have a moderate to high flooding vulnerability and resulted in the zoning of flood risk lands being entirely omitted or fully justified where appropriate. This resulted in approximately 57 acres of undeveloped lands being either dezoned or rezoned to water compatible land uses. Amongst many other things, the plan contains an objective to prepare a Public Realm Plan for the town, which consists of the space between buildings - the streets, laneways, squares, promenades and open areas that are accessible to the public. Initiatives within the Public Realm Plan focus on streets-frontages, open spaces, approach roads, lighting and signage. 'New Ross has some notable public realm areas, such as the waterfront and the medieval town core. However, there is also considerable scope for improvement so as to enhance the role of the town for tourism, retail and business, as well as a good place to live. The Public Realm Plan will transform the town,' said Mr. Hore, adding that much of the work outlined in the public realm plan will be undertaken within the development plan period and large elements will proceed within the next twelve months. However, the plan also contains some more unusual and interesting features. It contains a comparison of past and present photographs of streetscapes and buildings. The 'past' photographs were taken by William Cavanagh at the end of the 19th century. These images are just some of those reproduced from a box of old photograph plates saved from destruction by Gabriel Lalor with a £5 bid at auction and lovingly catalogued, preserved and published by local historian James FitzGibbon. The present photographs, which were taken from almost identical vantage points, were expertly captured by another local photographer, Edward Delaney. The plan also provides a window on New Ross 179 years ago through an extract from Parliamentary Representation Ireland Report 1832, which was bought at auction earlier in the year. The historic report on the New Ross Borough is reproduced in its entirety. Even the story of the fairies in New Ross is retold. All those people who made contributions or submissions to the plan, as part of the public consultation, are invited to attend the launch and will receive a complimentary copy of the plan. All schools in the plan area will be circulated with copies as will all the libraries and Chamber of Commerce. - ELAINE FURLONG, which sets out the planning policies and objectives for the Barrowside Town over the coming years, will be officially launched at the Dunbrody Centre this Thursday evening. Plans for a 300million power plant in Galway have formally come to a halt. The proposal was originally submitted to An Bord Pleanála in 2007, for a decision on whether or not it would be strategic infrastructure. Seán Quinn was the backer behind the proposal for a gas turbine power station with an electrical output of up to 450 megawatts at Toherroe. The project was supposed to be part of a new venture by the Quinn Group to enter the electricity generation market in Ireland. Quinn had an agreement with Coillte for 40 acres of land in Derrydonnell. IRELAND’S “perfect storm” may be a popular catchphrase for the state of the economy. For the movers and shakers creating a new national marine research campus, however, it is a metaphor for opportunity. Commodore Mark Mellett of the Naval Service and Dr Valerie Cummins, director of the new Marine and Energy Research Campus and Commercial Cluster (Merc3), do not immediately equate high winds with havoc, or geographical peripherality with isolation. Both see many advantages to a coastal border with some the world’s roughest seas, generating a premium wave resource and a third of Europe’s wind. “Ireland has the third-largest sea area, and the largest maritime area to land mass, in the EU – and we derive only 1 per cent of gross domestic product from the maritime economy,” says Cummins, formerly head of UCC’s Coastal Marine Research Centre. This compares to 20 per cent of GDP for Norway, 11 per cent for Denmark and 5 per cent for Britain. A recent SEAI study forecast 52,000 jobs in marine renewables by 2030, if the right supports are put in place. Cummins firmly believes much more can be made of the human capital already engaged. UCC’s ocean energy expert, Dr Tony Lewis, is “one of our best natural assets”, she says, given his international credibility. Scotland and Portugal are already moving ahead in renewable energy, and ocean energy interests have expressed concerns about a lack of similar State commitment here. Cummins, whose sees the glass half full, cites examples such as ESB International’s Westwave project – which aims to generate five megawatts of ocean energy by 2015 – as having considerable potential. Some of the key sectors that will be represented in the new research campus created by existing institutions at Cork harbour are offshore safety, shipping, logistics, and transport, renewable energy, maritime security and marine recreation. The partners for the new centre are the Naval Service at Haulbowline, University College Cork (UCC), Cork Institute of Technology and its constituent, the National Maritime College of Ireland (NMCI) at Ringaskiddy. clients. One such client is already committed, and a number of small and medium-sized enterprises have forged links with Merc3 in the maritime security area. Cummins says Merc3 has evolved following an investment by the State in competitive research at UCC, administered by agencies such as Science Foundation Ireland, the Marine Institute, the Sustainable Energy Authority of Ireland (SEAI), as well as funding from European research programmes. The main funders of the campus are the Higher Education Authority, through the Programme for Research in Third-Level Institutions; Bord Gáis; the Department of Communications, Energy and Natural Resources; and the Glucksman Foundation. Cummins, who grew up in Blackrock, Cork, on the River Lee, remembers how the late maritime historian Dr John de Courcy Ireland was one of the few voices to emphasise the potential of our maritime resource. Merc3 has a series of technical groups in train, and is working on demonstration projects for next year. Planning permission has been submitted for the UCC Beaufort laboratory, which will house a national ocean energy test tank facility, and will complement energy research at UCC’s Tyndall institute. However, Merc3’s relationship with the national maritime college – one of the few institutions that almost guarantees employment on graduation – will be key to its development. When the NMCI was built as a €53 million public-private partnership, it was fitted with the world’s largest range of ship bridge simulation suites, and with facilities to educate 750 students and to engage in applied research. Merc3 aims to nurture its research dimension and, by extension, that of both merchant marine and Naval Service cadets. It will allow SMEs to draw on the experience of mariners who know about cables, moorings and who understand the logistical dimension to work in the marine environment. As Cummins says, there is a €15.4 billion global market in maritime security alone that can be tapped into. Merc3’s four “pillars” are ocean engineering, ecosystems governance, nautical science and maritime technology development. Dr Peter Heffernan, the director of the Marine Institute in Galway, is among the stakeholders represented on the board, with Peter Coyle, formerly of Enterprise Ireland, as non-executive chairman. “Companies do see Merc3 as a knowledge cluster, and co-location is very attractive for them,” Coyle says. THE DESIGN of remotely controlled helicopters; satellite surveillance systems to detect and pinpoint pollution; and the development of advanced underwater lighting systems for divers are just some of the projects the Naval Service stands to benefit from through its involvement with Merc3. For Commodore Mark Mellett, this will help the defence wing to meet its core aim of becoming the “smartest, most innovative and responsive naval institution in the world” by 2016. The recently appointed new flag officer for the Naval Service is a Mayoman who received a distinguished service medal for his role in the detention of the Brime , a drug-smuggling yacht, in 1993. He has a master’s degree in government and public policy and a PhD in oceans governance. Research is part of everyone’s job description in the Naval Service now, he says. “Who better than a radar operator in mid-Atlantic to suggest how equipment can be improved?” he says. Technology is not a key determinant in making the most of maritime assets, he says, though good governance of the resource is crucial. This depends on three pillars: government and policy; market and economics; and the citizen and civil society, he adds. “It is vital that the citizen is kept fully informed” and engaged, he told a recent convention of Mayo Associations. Small and medium-sized enterprises that the Naval Service has been working with through Merc3 include Reamda in Tralee, Co Kerry, Seftec in Cork and Cathx Ocean in Kildare. The Reamda collaboration involves the design of unmanned air vehicles or drones for maritime surveillance and pollution monitoring. Seftec is developing wireless technology to track firefighters in enclosed spaces, while Cathx Ocean is working on lighter, more advanced underwater lighting systems for divers and for search beams on ships. The Naval Service is also working with the University of Limerick’s mobile and marine robotics research centre on remotely operated vehicle (ROV) design. The UL centre’s director, Dr Dan Toal, explains that the “smarts” employed in ocean engineering are changing from conventional oil and gas production to Earth observation – as in monitoring systems and prototype ocean-energy installations. “Due to climate change and other environmental threats, there is a growing requirement for monitoring the world’s oceans,” he says. The UL centre has 10 years’ experience in marine robotics, and recently built a 1,000m depth-rated ROV Latis , which it hopes to commercialise. This 22nd-century device has an autopilot to allow for precise control of robot motion under the sea while working on underwater structures, wave energy devices and sensor platforms. “We at UL have a vision that is shared by Merc3 and other marine partners – a vision of an expanding ocean sector in renewable ocean energy and ocean monitoring and protection,” Toal says. BUSINESS leaders and Christmas shoppers will breathe a deep sigh of relief at a decision, by the NRA (National Roads Authority), to postpone planned safety woks on the Jack Lynch Tunnel. The planned scheme will now commence in January. Under an EU directive, the NRA and the tunnel’s operators, Cork City Council, were obliged to fireproof the route. Initially, the statutory bodies announced plans to close the tunnel, at nights, from October to next March to complete a planned €5 million project. However, there had been consternation within the hard-pressed business community amid claims the planned works would affect shopping in the run up to, and during, the busiest period of the year. Cork Business Association (CBA) has been lobbying Cork City Hall officials who, in turn, conducted a series of discussions with the NRA. CBA chief executive Donal Healy said, as a result of the talks, the NRA had agreed to postpone the project. "We pointed out to them the two-month lead-up to Christmas and the January sales accounted for 25% of all sales recorded during the year. We asked that the contract be postponed until next January. If they had gone ahead and started the closure in October, it had the potential to have a tsunami affect on business and employment," he claimed. The NRA had planned to close the tunnel for 11 hours each weekday night between 8pm and 7am. Mr Healy said that if the closures had gone ahead from October, it would have driven late night shoppers away from Mahon Point in particular, but would also have had a negative impact on the shopping centres in Douglas and Wilton. "We had a number of meetings with Cork City Council officials who discussed the situation with the NRA. I have to say we found the council officials very helpful and we would like to thank them for that and we’d like to also thank the NRA," Mr Healy said. The city council now plans to close the tunnel after January 9. Daily closures will be from 9.30pm to 7am on every day of the week, apart from Friday nights, for a six-month period. A number of serious fires in tunnels in Europe led to the introduction of the EU 2004/54 directive which stated that all major tunnels had to be fire-proofed. As the Jack Lynch Tunnel had been opened in May 1999, it had not been covered by the new regulations. The Dublin Port Tunnel does already comply. The NRA, it emerged, could have undertaken the job much quicker if it closed the tunnel completely but such a decision would have caused traffic havoc in the heart of the city. More than 65,000 vehicles pass through the tunnel on an average weekday. The work, meanwhile, will erect special flame-retardant cladding to protect the tunnel structure in the event of a serious fire. A €150 MILLION Co Clare wind farm, bigger than the one which was refused planning permission in Connemara last week, has been approved by An Bord Pleanála. The wind farm at Mount Callan near Miltown Malbay in west Clare will have a maximum capacity of 87 megawatts – enough to supply the whole county with electricity. The Mount Callan wind farm, though a standalone facility, is seen as a vital part of plans to build a proposed pump storage facility at the site. The intention is to use surplus wind energy to pump water from the bottom of the mountain to the top. The water is released when the wind is not blowing, generating energy. The Mount Callan facility is being seen as a precursor of the bigger Spirit of Ireland project, which will use sea water to generate huge amounts of electricity. Locals objected on the basis that the wind farm would be visually intrusive and affect the hen harrier population in the area. In its judgment, An Bord Pleanála granted planning permission subject to 19 conditions. It stated that the proposed wind farm would “not seriously injure the amenities of the area” nor have an impact on natural species. It said it was in keeping with the proper planning and sustainable development in the area. The granting of planning permission is a relief for the applicants, mostly local farmers who have created a co-op. Last week An Bord Pleanála turned down an 83-megawatt wind farm in Connemara on the basis that it would be too intrusive on the local environment. West Clare Renewables managing director Pádraig Howard said the Connemara result last week had “shaken our confidence”. However, he said Clare County Council’s decision to do the strategic environmental assessment on the area and identify sites for wind before planning permission was sought proved to be critical in their success. Earlier this year the council announced a €2 billion strategy in renewable energy, including a €900 million pumped-storage hydroelectricity plant, which is to be included in the Clare county development plan. The British government has also declared its intention to buy surplus wind-generated electricity from Ireland to meet its own renewable targets. Mr Howard said he and other locals had financed the project themselves to date and were now hoping to get major investors involved. They claim to have letters from international finance houses saying the investment is ready now that planning permission has been granted. “We hope to finance this with a mixture of debt and equity. We hope there will be an opportunity for local landowners and the wider community to invest, so there will be real local ownership,” he said. Engineer Pat Gill, who is involved with the project, said it was critical now to get grid connection and that the previous government policy was “at sixes and sevens” in that regard. Wind speeds on Mount Callan, which is 329m high (1,300ft), are among the highest in the country because of its elevation, its isolation and proximity to the Atlantic. Planning permission has been granted for 29 turbines, which will all be located on the slopes rather than the flat top of the mountain because of the visual impact. It is estimated that the capacity factor – the percentage of the total capacity that can be generated – is 40 per cent. The European average is 22 per cent and the Irish average is 29 per cent. THE PROMOTER behind a new €200 million wind farm in west Clare has said the project will not proceed unless there is an overhaul of the grid connection system for wind farms. Mr Howard was speaking yesterday as An Bord Pleanála released documents confirming that the inspector in the case recommended that planning be refused for the development or that additional information be sought from the applicant. The recommendation to refuse was not accepted by the board and on Monday, the appeals board gave the green light for the turbine development at Mount Callan. Mr Howard described the decision as “bittersweet as we don’t have a grid connection”. If the wind farm does get built, 30 farm families who own the 3,000 acres of upland at Mount Callan are to share a €23 million windfall over 20 years. Mr Howard said that 150 to 200 construction jobs will be created during the construction phase. OPINION: Public involvement is very important if we want to address urgent energy pressures facing the Republic, writes BRIAN MOTHERWAY . IN 1907, two Norwegian whaling entrepreneurs announced plans to site a whaling station on Arranmore Island in Donegal. Initially, the islanders were in favour of the proposal, as the developers had explained the economic and employment benefits, and also promised investment in local buildings and infrastructure. However, opposition grew as the plans became more widely known. In particular, word had spread among fishermen from Norway and the Shetlands that whaling stations adversely affected conventional fishing. A Derry solicitor known for his objection to whaling was appointed to act for the opponents. A public inquiry, chaired by the chief inspector of fisheries, took place in February 1908. Tensions were high, with opponents angered to learn that the developers had already hired local labour and loaded supply ships in anticipation of a favourable outcome to the inquiry. There were also accusations of petitions full of names, all in the same handwriting. The inquiry itself focused on a core question. The whalers argued there was no conclusive proof whaling harmed fisheries, while the opponents argued back that this absence of proof was not good enough. When “common sense” would suggest many reasons to be concerned, it was for the developers to prove no harm would be done. In the end the proposal to site a whaling station on Arranmore was rejected. Soon afterwards, it was announced that the now inappropriately named Arranmore Whaling Station would be built on Iniskea, off the Mullet Peninsula. Labourers and landowners in that area would reap any rewards that arose, and fishermen in that area would experience any drawbacks. The enterprise ticked over, relatively unsuccessfully and closed in 1915. An inquiry from one angle, struggling to keep the discussion focused on science and proven facts; animosity among a wide range of stakeholders; accusations of shoddy practice; money, influence and power wielded in various ways. This case shows the history of such stories is more than a century old. And little, on the face of it, seems to have changed. The modern incarnation of this is the public hearings held by bodies such as An Bord Pleanála or the Environmental Protection Agency, looking into developments from bridges and roads to factories, landfills and electricity lines. Hopefully none of these is thought as nefarious as a whaling station, though sometimes the heatedness of the debates would suggest otherwise. In most cases decisions are arrived at eventually, but not consensus. It is an adversarial process. Some people are happy, some are bitter, no one’s faith in the system is enhanced, and the stage is set for the next battle. Why can’t we do this better? Public hearings, when they work, can add considerably to a decision-making process. They apply checks and stops, they make bureaucrats work harder, and they can bring new information and new solutions to light. In a well-functioning democracy where representative structures work well, they can enhance both the process and the outcome. But is that the reality? The core problem is that these public hearings are often asked to deliver things well beyond their capacity. As part of a much wider democratic institutional context, planning and licensing hearings are designed to deal with narrow, technical agenda in detail, under prescribed terms. They are good at technical questions, at analysing information, but not at solving much wider societal questions. However, when people feel a democratic deficit, they naturally use all opportunities they get to engage “the system”. So a hearing that is designed to focus on a narrow, specific question ends up hearing arguments about the nature of society, capitalism, and many other such things well beyond its scope and capability. Moreover, hearings are never the idealised exchange of information to reach consensus: they are invariably polarised, pitching those “for” across the table from those “against”. Both “sides” use all the strategies most likely to give them the outcome they want. Of course they do. All this is important to Ireland’s energy future. We know we have to move to reduce our carbon emissions and our reliance on imported fossil fuels. A process of change has started – we have had some success with on-shore wind energy in recent years, which is reducing our emissions and our imports at no additional cost – but not without considerable controversy. Public involvement is very important if we want to address our urgent energy pressures. There are environmental, social and economic dimensions to be discussed. We have choices to make. Can we accept wind farms in our communities, and if not, how do we propose to get our energy? Can we accept wires across our landscape? Are we willing to pay more for certain options than for others? These are difficult questions, requiring mature, reasoned and informed debate. You don’t get that in a contentious two-day hearing about a specific, controversial issue where any outcome will displease half the participants. Renewable energy is a tremendous opportunity for Ireland. We have some of the best clean energy resources in the world, resources that can not only meet our own needs but could become a major export commodity in future decades. If we need to debate the details of this, let’s do it out in the open. Do local objectors oppose the broad principles or the local specifics? Both are legitimate debates, but they cannot be resolved in the same forum. Local communities perceive that their concerns are neglected in national debates, but, equally, national considerations are often unpicked again and again in each local controversy. So, can we agree that renewable energy is a good thing? Can we agree it is an opportunity for Ireland? If so, can we accept that it does involve building stuff – wind turbines and wires, mostly? There are good reasons to allow such development in some places, and not to in others. That’s what planning and other such decision-making processes are for. If we can agree the broad principles of this development, can we use these principles to let the system get on with looking at specific local questions? Each part of the democratic structure has its role, its strengths and weaknesses. Local hearings can help deliver better decision-making, but not on their own, especially where there is already contention. From whaling stations to pylons, a century of evidence shows us how hard it is. But then, as Churchill said, democracy is the worst form of government, apart from all the others. Brian Motherway is chief operations officer at the Sustainable Energy Authority of Ireland. The full story of the Arranmore Whaling Company is told in James Fairley’s Irish Whales and Whaling , published in 1981 by Blackstaff Press. AN TAISCE has joined heritage campaigners in lodging an appeal against plans for a €150 million redevelopment of the Beamish and Crawford site in Cork. 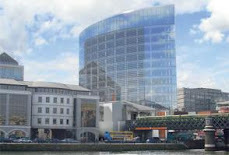 The proposal, a joint venture by Heineken Ireland and Bam Construction, includes a 6,000-seat event centre, cinemas, retail, offices and student accommodation in seven buildings ranging in height from four to seven storeys, to be built on a four-acre riverside site at South Main Street. In its appeal to An Bord Pleanála, An Taisce says elements of the design for the Brewery Quarter are “completely inappropriate”. The conservation group says the proposed use of the iconic Counting House building is inappropriate, as are two design blocks fronting on to South Main Street. It criticises the scale and design of the event centre as it is located in a “sensitive city centre location”. It also claims the provision of student accommodation in the immediate area is already well catered for. The building height, which rises to seven storeys, prompts concerns given the precedent it might set for future development of the city centre. Finally, the group says the plans fail to include a riverside amenity area for public use in the city centre. DUBLIN BUS has estimated that 85 per cent of its 117 million passenger journeys per year could be subject to delays of up to 10 minutes, particularly on cross-city routes, if the Luas city centre link goes ahead. It would involve the permanent removal of key bus stops such as those outside Trinity College and along College Street, and could impose extra costs of €15 million per year to alleviate the impact and stem the loss of passengers. An Bord Pleanála is due to issue a decision on whether to approve a railway order application for the proposed Luas line by the end of next month. However, the knock-on effects of the BXD Luas line – which would run from St Stephen’s Green to O’Connell Street and on to Broombridge – were not spelled out at last May’s Bord Pleanála oral hearing by Dublin Bus representatives. According to reliable sources, the State-owned company was told in advance by the Department of Transport it should not object to the Luas link because it is part of the Transport 21 investment programme, adopted in 2005. Dublin’s Lord Mayor, Cllr Andrew Montague of the Labour Party, yesterday called on the Government to reconsider the proposed Luas link because of the “severe” impacts its construction and operation would have on bus services and on cyclists in the city. “You have to ask is this the way to get value for money when we have a huge national debt and, as Ruairí Quinn says, Ireland is in receivership. But by not spending the money on Luas, we could reverse some of cuts in Dublin Bus services,” he said. “The reason why it’s being advanced is not that it’s the best project, but the only affordable one. In isolation from Metro North and Dart Underground, I don’t believe it makes sense, and what I’m saying is let’s stop and think about this again.” Although he agreed that connecting the two existing Luas lines was important, he said “a lot of things need to be connected”. He warned that northside suburbs not served by Luas or Dart would have their bus services “severely restricted” by Luas BXD. He warned that there could even be a “net loss of public transport passengers”, yet Luas BXD had “never been subjected to a cost-benefit analysis as a stand-alone project, taking into account the damage it could do to buses and cycling in Dublin. Mr Montague expressed concern about the impact on the city centre of construction works scheduled to run for 3½ years, and about the long-term impact on cyclists having to share streets in the central area with tram tracks running parallel. “Tram tracks are dangerous for cyclists. So, in addition to damaging bus services, Luas BXD is going to make cycling less attractive,” he said, adding that unless rubber strips were inserted alongside tracks to close gaps, it would “damage cycling in the city”. The department did not respond to Irish Times queries. An Bord Pleanála has refused plans for a “unique tourism product” on the Burren that, according to the applicants, had the potential to generate €3 million a year and create up to 18 jobs. This follows the planning board upholding an appeal by An Taisce against a decision by Clare County Council to grant planning permission to Fintan O’Brien, Kieran Casey and Brian O’Shaughnessy to construct a wellness centre near Ruan. A SHORTLIST of sites for a new Dublin regional sewage treatment plant, second only in size to the Ringsend sewerage works, will be prepared within weeks. More than 1,200 public submissions on plans for the plant, which will serve Dublin city and county as well as parts of Meath and Kildare, were published yesterday. The submissions were overwhelmingly opposed to the selection of Donabate or Portrane in north Co Dublin as a possible site for the plant. A study published six years ago identified Portrane as the best site for a new municipal plant to satisfy the region’s growing needs. However, Fingal councillors rejected the plan and ordered a review of the study. The review, completed in 2007, found existing sewerage systems were not adequate to cope with demand, and that a single regional treatment plant was best. It recommended that the plant still be located in the “northern greater Dublin area”, but not necessarily Portrane. However, it did not rule out Portrane. Jacobs Engineering and Tobin Consulting Engineers were this year chosen to assess potential sites, while RPS, consultants for the Ringsend sewage plant and the Poolbeg incinerator, are managing public relations and public consultation. The public consultation process, which took place two months ago, was intended to identify any constraints which should be considered in selecting the site. Of the 1,200 submissions, more than 1,000 said the site selected for the plant in 2005 should be discounted. A large number of submissions referred to the proposed facility as a “monster” sewage treatment plant, which they said would have catastrophic effects on designated environmental conservation areas such as Rogerstown estuary on the Portrane/Donabate peninsula. Particular mention was made of the threat posed to the Brent geese population. Local blue flag beaches, coastal walks and golf courses would be ruined by the sight and smell of a sewage plant, according to several submissions. “What chance then for the enjoyment of a golf outing with the dreadful smell of sewage wafting around the place, on one’s clothes and in one’s nostrils?” a letter asked. Several submissions raised the concern that Portrane and Donabate were being used as a “dumping ground” for the greater Dublin area. The community had already agreed to a plant to take the waste of the surrounding areas of Rush and Lusk. Some suggestions were made that an inland location be chosen, such as the planned Nevitt landfill near Lusk or Dublin airport. Several people raised the concern that Portrane, having previously been identified as a suitable site for the plant, compromised the fairness of the process, leading to a suspicion of predetermination of the outcome. While a shortlist of sites will soon be determined it is likely to be next year before the final location is selected. A planning application will then be made to An Bord Pleanála. North County Dublin beaches have repeatedly failed EU water tests since the rejection by councillors of the Portrane plant. Last year Burrow beach in Sutton was one of four beaches nationally to fail minimum water cleanliness tests. Traces of human or animal waste were also found at Balbriggan front strand and Loughshinny. A company belonging to the family of businessman Jim Kennedy -- who is facing a possible criminal corruption trial related to land rezonings -- has lobbed in a fresh planning application for the massive €100m-plus development of 400 homes in north Dublin. The family's company, Regents Park Developments, was refused planning permission in 2008 by Fingal County Council for a similar development on the land which is in Baldoyle. Mr Kennedy is not a director of the firm, which is run by his sons Joseph and Patrick as well as his wife, Antoinette Kennedy. Both Joseph and Antoinette list their addresses as being in the Isle of Man. The new planning application submitted to the local council indicates that Regents Park wants to build 400 homes, including 185 three-bedroom apartments, 49 five-bedroom houses, 14 townhouses and 61 two-bedroom apartments. The development aims to be spread over 15 buildings varying in heights from three to eight storeys. The company also wants to build a creche and three retail units at the site. A previously rejected planning application called for 422 homes, a creche and six retail units. At the time, it had been expected to cost in the region of €200m to build. Late last year, Barford Holdings, a Bahamas-registered company understood to be linked to the Kennedys, approached Fingal County Council seeking outline planning permission to build a three-storey 150-bedroom hotel and a retirement home on the controversial former racecourse in Baldoyle. The council granted that outline permission in January. Jim Kennedy -- whose family still owns an amusement arcade on Dublin's Westmoreland Street -- was charged with corruption last October in the District Court after he had been detained by the Criminal Assets Bureau (CAB). CAB has been investigating Mr Kennedy's UK-based Jackson Way property company. Mr Kennedy was charged alongside three former councillors, and one sitting councillor. Mr Kennedy was charged with 16 offences, including allegations of payments made to former Dublin city councillor Sean Gilbride, to former Dublin city councillor Jack Larkin and to former Dublin city councillor Liam Cosgrave. It is alleged that Mr Kennedy made payments in an effort to induce politicians to rezone land at Carrickmines in south Dublin. Mr Kennedy was granted a stay on his impending trial late last month by the Supreme Court, pending that court's determination of his appeal against the High Court's refusal to stop his trial, which is slated to begin in October. A CORK city councillor has claimed that sectional interests were put ahead of the public interest in previous decisions relating to a planning application for a gaelscoil on the city’s northside. Cllr Tim Brosnan made his remarks in an appeal to An Bord Pleanála, asking it to uphold the recent vote of Cork City Council not to rezone part of the Tank Field in Mayfield for a 16-classroom school. He wrote that the last time the case was up for decision, the planning inspector who reviewed the case, councillors and the Cork city development plan were overridden by the board. In 2007, the first application for the new building for Gaelscoil an Ghoirt Álainn did not give enough votes from councillors to change the zoning of the field from sports use and allow the project proceed. But An Bord Pleanála overturned that decision and granted permission in March 2008, despite the recommendation of its own inspector to refuse planning permission. The Department of Education had to submit plans to move the building slightly last March after difficulties emerged about moving GAA goalposts on the pitches under overhead power cables. The council again refused permission last month when members voted against rezoning the site, but the department has appealed the decision. In his appeal, the Fianna Fáil councillor who represents the council ward where the Tank Field is located, claimed that An Bord Pleanála’s 2008 decision benefited the department, the coffers of Cork City Council, the GAA and the children who need a school. "Who lost — the elected representatives of Cork City Council, the children who need a place to play, the public who have had a right of way for a long time. Yes, sectional interests won — supported by An Bord Pleanála," Cllr Brosnan wrote. The Department of Education’s appeal claims the rezoning vote last month was not necessary as the new application was merely to modify plans already approved by the board. It also argued that the provision of a new school building for the gaelscoil, which is in prefabs on the grounds of Brian Dillon's GAA club next to the Tank Field, was of strategic importance. But Cllr Brosnan’s appeal said "the notion that the building of a school in an area with massive overcapacity in primary sector can be classed as ‘strategic’ in a bankrupt country is perverse to say the least". "The public interest in sustainable planning requires the preservation of all the Tank Field as a sports area. It requires that the Department of Education manage its affairs judiciously and makes best use of the resources it already has in the area," he wrote. He suggested that the availability of alternative sites be considered by An Bord Pleanála. OPINION: IRELAND HAS been good in achieving firsts in the area of public health. We were the first to introduce a full workplace smoking ban, and first in various quality-of-life indices. However, we seem to be on the road to a less welcome first: we are second only to the UK in having the fattest people in Europe. Historically, architects, urban thinkers and landscape architects designed our cities and neighbourhoods to address infectious diseases and even mental health issues. Today, obesity is such a serious issue that it demands a rethink in the way towns, cities and buildings are developed and designed. Conditions in the built environment can affect participation in physical activity both negatively and positively. York in England has won numerous awards for developing an integrated transport network that does not rely on private cars and meets local air quality objectives. An integral part of that strategy promotes sustainable active alternatives to the car that are both convenient and reliable by using public transport, walking and cycling. York was one of the first local authorities to adopt a hierarchy of transport users when making decisions related to land use and transport, with pedestrians given top priority. The decisions taken in York were a response to changes to our physical and social environments that have happened over decades and have contributed to today’s obesity epidemic. Approaches focused solely on changing individual behaviour have limited success. Increasingly, the evidence suggests that policies and practices intended to enable people to be physically active are more likely to be successful if they modify both the physical and social environments. In Barcelona, city planning provides high-quality opportunities for people to live and work actively. Planners have accomplished this even though the site is small and topographical constraints in outward development restrict space for greenery and active living. Faced with serious problems of urban decay, planners took a holistic approach and used the hosting of the 1992 Olympic Games as a vehicle for city-wide reforms. Olympic facilities were spread over four neglected urban areas, with the Olympic village developed on abandoned industrial land close to the coast. At the same time, a radical transformation of inner-city districts began, with a policy of improving social capital and reducing crime. Inner-city reforms are continuing. Many of the residential blocks, which had lost their open space to industrial development, are gradually getting green spaces and small neighbourhood parks. Human beings are not, generally, born fat. Nor are we born lazy – as any exhausted parent will tell you, small children have an abundance of energy. So what is going wrong? Essentially, it is simple maths: if more calories are going in (through food and drink) than going out (through exercise), we will get fatter. For tens of thousands of years we have been programmed to be active because it was a matter of life and death. As hunter-gatherers we had to be able to chase potential food supplies and run away from potential predators. Humans are and have always been very adaptable and we quickly adjust to the environment we are in. While this was an advantage in evolutionary terms, it has spelt bad news when the environment provides little opportunity for exercise. Humans were designed to keep active. We are not designed for the modern, sedentary lifestyle that has become the norm, with a lot of incidental exercise designed out by means of technology and labour-saving devices. Environment sustainability and health are inextricably linked. This needs to be recognised by politicians, public health officials, urban planners and architects, and definitive action needs to be taken in a united format. Aspects of our urban environment can either inhibit or promote our ability to maintain a healthy weight. How a neighbourhood is designed dictates how people get around, for example walking or cycling versus car use. The built environment should support people to make healthy choices. It makes sense, for example, to locate shops, banks and post offices within walking or cycling distance of housing estates and to provide bike parking facilities. We have seen cities such as Copenhagen and Amsterdam develop into cycling cities, with more than one-third of people commuting by bike. The health benefits are obvious. While playgrounds appeal to younger children, accessible teen-friendly destinations such as cinemas and skate parks can motivate adolescents to get moving. This is exactly the kind of thinking that could result in measurable change. Moving from an environment that promotes obesity to one that actively plans against it is our best hope of reversing the obesity trend. PLANNERS IN Clare have raised concerns over a flurry of rezonings voted through by councillors to the greater Ennis development plan. At Clare County Council’s July meeting, councillors voted through a series of last-minute changes, rezoning almost 100 acres of land around Ennis for housing before 2014. In the draft variation to the Ennis and Environs Development Plan, the 95 acres were part of 720 acres of land to be frozen for development until after 2014. The proposed freezing of the lands followed the intervention by the Department of the Environment, which expressed concerns in relation to overzoning in the greater Ennis area. Now, in a strategic environmental assessment report on the councillors’ late amendments, council planners have stated that the zoned lands recommended by councillors “represent a segregated and haphazard approach to sequential planning”. The report, along with the material amendments, have now gone before the public. The planners state the environmental effects include development in an ad hoc and unrestrictive manner without regard to the current available levels of infrastructure and utilities; to environmental and ecological designations, sensitivities and constraints and to the likely significant impacts on water resources. The planners state the councillors’ late amendments “would result in a segregated and haphazard approach to sequential planning and result in significant increases in the pressures on existing infrastructure and overall significant adverse environmental effects. The planners add that the inclusion of one site for housing before 2014 that adjoins Girroga Lake Special Area of Conservation on the northern outskirts of Ennis “is likely to result in significant negative effects on a Natura 2000 site and therefore should not be included”. The public has until September 9th to make submissions. AN economic blueprint for the Mid-West is to outline the need for €250 million to be spent on new transport initiatives in the region — but no spend on any "big ticket items" in transport. Currently, international civil engineering consultancy Mott MacDonald Pettit is preparing a long-term framework for guiding future residential, commercial and industrial development in the Mid-West region. Anticipated to heavily influence the region’s transportation infrastructure requirements over the course of the next 30 years, the Mid-West Area Strategic Plan (MWASP) is also expected to feed into the Regional Planning Guidelines for the Mid-West Region 2010-2022. The draft plan is not expected to be published until later this year but, in a document prepared for the members of the Midwest Regional Authority, the consultants state the plan will contain, under transport, no new ‘big ticket items’, but will outline the need for a €250 million investment on transport outside the road network. The document also notes the need for the completion of the Atlantic Corridor where, currently, the latest €600 million, 57kms phase from Gort to Tuam is on hold due to funding issues. The route was due to commence in the first quarter of this year on a Public Private Partnership (PPP) basis. According to the document, the new MWASP will also seek a comprehensive review of the future rail corridors under the long term requirement for high speed rail line connectionsbetween Ireland’s cities. The major planning, land use and transportation strategy for Clare, Limerick city and county and NorthTipperary is also calling for the publication of a National Aviation Policy outlining the role of Shannon Airport in a national context. The plan will also, as one of its aims, provide for a revision of the public transport system in the Mid-West. There is much emphasison the need to develop a long-term strategic business plan for both Shannon Airport and the Shannon estuary. The document states the immediate focus of the plan will be to promote Limerick city as the economic driver of the region and to develop Ennis and Shannon as complementary settlements. THE chief executive of Ennis Chamber of Commerce, Rita McInerney, has expressed concern over the "doughnut effect" in the town due to the negative impact of out-of-town retail centres. Her comments came after planners with Clare County Council warned a last-minute amendment by councillors on retailing in the greater Ennis development plan may deter, small and medium enterprises being set up locally. As part of a variation to the plan, councillors insisted that a large site on the outskirts of Ennis would be zoned for a district centre or a large food store. Currently, Ennis Town Council is adjudicating on a €40 million retail park plan for the site by Michael Lynch developers. The plan is to provide 180-200 jobs when operational and 300 jobs during the construction phase. However, a stream of local organisations including the chamber, the O’Connell Street Traders’ Association, the Abbey Street Traders, along with independent retailers’ group RGDATA, have lodged objections. The proposed rezoning would possibly make it easier for the planning application to secure planning permission for a district centre. However, in evaluating the councillors’ move to rezone the site for a district centre in a Strategic Environmental Assessment (SEA), council planners stated the assessment "considers that this type of development may deter small and medium sized enterprise" which is encouraged in the Ennis and Environs Development Plan. The SEA states: "It is therefore noted that any potential development must not only undertake an assessment of retail impact, but comply with all of the objectives in the Ennis and Environs Development Plan 2008-14." The statement continues: "Consideration must also be given to the increased level of vehicles in the area which may give rise to increased levels of air pollution and implications [for] the quality of life [of] nearby residents." Ms McInerney said the chamber had fears of a "doughnut effect" in Ennis, where businesses in the centre of the town would lose custom to out-of-town retail facilities. "The town must grow organically and Ennis can learn from the mistakes of others," said Ms McInerney. The rezoning, she said, was taking place on a site where a live planning application was currently under active consideration. Ms McInerney said the businesses in Ennis town centre have found trading difficult "but the summer has been good". The Lynch plan is currently on hold pending the company lodging a raft of further information on the plan with the council. Sir, – I noted with some dismay your article “Clare Protest over funding to save buildings” (Home News, August 12th). The issue of Blake’s Corner has been the subject of much debate for many years as it forms one of the defining landmarks of the town of Ennistymon, famous for its variety of classic Irish shopfronts. The removal of Blake’s Corner would, in itself serve little purpose as a traffic improvement, as the adjoining historic bridge remains very narrow. The only realistic alternative is to have a bypass from the south side of the town linking up with the main road to Lahinch and on to the Cliffs of Moher, one of the most successful tourist attractions of the west coast (hugely to the credit of Clare County Council). The proposal to build a bypass has been on the county plan for over half a century. I note from other reports that funds have been found to construct some the major road plans; surely county, regional and national organisations could collaborate to fund the enhancement of the approach to the Cliffs of Moher and at the same time enable the heritage of an important town like Ennistymon to be preserved. The unique character of such towns is what attracts urgently-needed tourist income, its destruction would therefore be tragedy for both heritage and tourism. CSO figures show that more people are opting to extend their home than to build a new one, says chartered engineer and builder Damien McKay. He says planning application statistics for the first quarter of 2011 show that over 1,630 people have been granted permission for an extension, compared to less than 1,280 permissions for a new home. But the figures for the last 12 months from April 2010 show this trend has now completely reversed, says McKay. McKay says the perceived costs of building or extending a home can be very off-putting, but if handled the right way, they can be done within a tight budget. The cost of building an extension can overrun by €50,000 or more, he says. MINISTER FOR Transport and Tourism Leo Varadkar has been urged to intervene with the board of CIÉ to assert ownership of a disused railway line in Co Limerick, which is being developed as a walking and cycling route. Great Southern Trail Ltd, the voluntary group spearheading the scheme, has expressed concern that CIÉ has taken no effective action against a local farmer whose slatted cattle shed they maintain encroaches on CIÉ’s property. “I think it’s a scandal that CIÉ don’t protect their property”, said Liam O’Mahony, one of the group’s founders. “The farmer concerned has put gates on the old railway line and . . . incorporated 500m of it into his farmyard”. The site is located at Coolybrown, near Ardagh, on an undeveloped section of the route between Rathkeale and Newcastle West. “If this is not dealt with, it will compromise our plans to transform the line into a public amenity”, he warned. Mr O’Mahony said CIÉ’s “tardy” approach in dealing with the issue was “unfair” to Great Southern Trail volunteers who had invested so much effort over the past 20 years in developing 35km of the route, at an estimated cost of €1 million. When farmer John Dowling sought planning permission for the slatted shed in 2007, a Limerick County Council planner indicated it was to be built on the southern side of the disused line, whereas most of his farm buildings were on the northern side. The planner noted that it was council policy to “retain and protect the former Limerick-Tralee railway line from further development” and said the proposed slatted shed should be “relocated . . . adjacent to the existing cluster of farm buildings”. Limerick West TD Niall Collins, now Fianna Fáil spokesman on the environment and local government, sent a letter to the council on Mr Dowling’s behalf urging that permission be granted; it was the only such representation made. The council later approved the scheme as proposed. Only after the slatted shed was built did a concern arise over whether it encroached on CIÉ’s property – “yet we waited a year for them to get an engineer to walk it”, Mr O’Mahony said. In a letter last March to the council’s director of planning, Tom Enright, Great Southern Trail Ltd pointed out that the slatted shed was built some four metres north of the approved location and that boundaries with the old railway line were removed. The council said it issued a warning letter to Mr Dowling on May 10th last for non-compliance with the terms of his permission. He “informed the council that he would be making a planning application to resolve this matter but to date has not done so”. CIÉ said it was “very supportive” of the Great Southern Trail, and its preference was to achieve a resolution to the issue “which would be acceptable to all parties without recourse to the legal arena”. Attempts to contact Mr Dowling were unsuccessful. Meanwhile, Minister for Arts and Heritage Jimmy Deenihan will participate in a walk on part of the Great Southern Trail from Newcastle West to Barnagh on August 28th. The heritage body has joined Temple Bar Cultural Trust in opposing the fast-food giant’s plans to open a branch at the site of the former Fitzer’s restaurant and more recently Frankie’s steakhouse and bar at Temple Bar Square. Several local residents and politicians have also made submissions on the company’s application to Dublin City Council. An Taisce, invited by the council to comment on the application, said there was an oversupply of fast-food restaurants in the area and a branch of McDonald’s would contribute to the problems caused by alcohol in Temple Bar. There were five fast-food restaurants in the immediate vicinity of the site and a further 13 on the perimeter streets bounding Temple Bar, An Taisce said. McDonald’s would not comment on the opposition to its plans but has said the development would result in 60 jobs. Deputy Lord Mayor of Dublin Maria Parodi said any jobs McDonald’s might generate would displace existing employment in other local restaurants. Cllr Kieran Binchy (FG) said the area was unsuitable for “generic international fast-food restaurants”. Instead small independent businesses should be encouraged. The Irish Times Environment Editor and Temple Bar resident Frank McDonald has also made a submission opposing the planning application. CAMPAIGNERS AGAINST a controversial electricity pylon network in Co Donegal say they will continue to oppose the project. Singers and musicians including Brian Kennedy, Paul Brady and Clannad have campaigned for years against the 110KV Electricity Reinforcement Project which is being developed jointly by ESB Networks and EirGrid. They claim the network of hundreds of new supply lines and large poles which will stretch to more than 100kms (62 miles) will blight the west Donegal scenery. The ESB says the new upgrade is vital for the electricity network across the county. Deirdre Brennan of Clannad said the group objecting to the overground poles, Alternatives To Pylons, will continue to oppose the project and more protest concerts will be held. “There are many alternatives to these overground pylons but they are simply not being investigated by the ESB or EirGrid. What is stopping them putting this network underground like is being done in so many other countries? If it works for them, why couldn’t it work in Donegal?” she asked. She said many areas through which the network was going, including Gweebarra and Gaoth Dobhair, had been designated Special Areas of Conservation but this was now being ignored by the Government. “We are continuing to meet with landowners to inform them what signing over their land will mean to them in future. Once landowners sell the right to allow these pylons on their land, then they will lose all their rights for the future,” she claimed. The project received planning permission from An Bord Pleanála in 2009 and is scheduled for completion by 2013. EirGrid project manager Peter Graham said the line is vital to develop the electricity supply across the county. “This is vital for Co Donegal. Having a secure electricity supply will increase Donegal’s potential to attract investment. Specifically, in the areas of Killybegs, Kilcar, Gweedore and Derrybeg we are at the point where new industry requiring large electrical supplies cannot be connected without this project,” he said. Mr Graham said investment in energy infrastructure was every bit as essential as investment in road, rail and broadband. Donegal needed to be able to guarantee potential investors in the region that business could be conducted safely and securely at all times. Without the new line such a guarantee was not possible, he said. The construction is being carried out by ESB Network staff based in the county, supplemented by local contractors and suppliers. Minister of State for Gaeltacht Affairs Dinny McGinley also gave the project his seal of approval. “This is a much needed piece of infrastructure,” the Minister said. “As all of us from the county know Donegal has been badly hit by this recession. “We must have the necessary infrastructure in place if we are to attract and maintain jobs and investment. AN BORD Pleanála has approved planning permission for a waste-water treatment plant at Lough Foyle against its inspector’s recommendation. The board has granted planning permission for the secondary and tertiary treatment plant with an outfall at Carnagarve, Moville, Co Donegal, in spite of local opposition and concerns expressed by former SDLP leader and MEP John Hume and writer Brian Friel. The board cites EU directives and the “current unsatisfactory situation regarding waste-water discharges from the towns of Moville and Greencastle to Lough Foyle” as the main reasons for its approval. It has advised that a proposed pumping station at Glenburnie should be dropped from the scheme in the interests of environmental protection of a high-amenity shoreline. Brian Friel, John Hume, his wife Pat and Michelle Gildernew in her capacity as then minister for agriculture and rural development in the Northern Assembly had expressed concerns about Donegal County Council’s plans for the scheme. The Moville-Greencastle Environmental Group, which was among appellants, had challenged the council’s determination to secure approval for one particular location for the pumping station and outflow pipe into the Foyle. The controversy about the project dates back over a decade, and in 2005 the local authority received Department of the Environment approval to proceed with the planning stage. The council said the scheme was required to “remove the existing raw sewage discharges into the Bredagh river and Lough Foyle, to comply with EU directives and to provide infrastructure for the development of Moville and Greencastle”. However, the local authority’s preferred location in Carnagarve was not among the seven recommended after a public consultation. It identified Carnagarve as being suitable in spite of proximity to a beach and a popular coastal walking route at Lafferty’s Lane. An Bord Pleanála, which was handling the planning application by the local authority, held an oral hearing in Redcastle in July 2009. The Loughs Agency, which is responsible for both Lough Foyle and Carlingford Lough, had also expressed concern about the methodology adopted for hydrodynamic modelling in Donegal County Council’s environmental impact assessment, and the “potential impact of the proposal on the shellfisheries of Lough Foyle”. An Bord Pleanála says in its ruling it “considered that it would not be appropriate to refuse approval for the scheme on the basis that the applicant had, in the course of the application, made a commitment to further improve the effluent discharge standard over and above what had been initially proposed and modelled”. It also said that omission of a pumping station and outfall at Glenburnie had met its inspector’s concerns about this aspect. It added that discharges would be monitored by the Environmental Protection Agency. Dr Don McGinley of the Moville-Greencastle Environmental Group said the group would meet to consider the decision. Commenting in a personal capacity yesterday, Dr McGinley said the decision was “wrong”. He claimed that it “did not address the fundamental deficits of information in the environmental impact statement” submitted by the local authority or the problems with its hydrodynamic study. Dublin City Council has issued a warning letter and said it will take enforcement action in relation to the broken windows in the “Fleet Room” which, it said, are protected structures of “some significance”. The windows are the work of the Clarke family firm and are believed to have been designed by Joshua Clarke, father of Harry Clarke who made the iconic stained-glass windows in Bewley’s on Grafton Street. The windows face on to Fleet Street and Price’s Lane and are believed to date from the late 1890s. Several panes of the leaded glass have been broken, putting the owners of the building in breach of the planning permission which requires the protection of the 100-year-old stained glass. One of Dublin’s best-known businesses, Bewley’s on Westmoreland Street closed seven years ago and, unlike its sister cafe on Grafton Street, never reopened. In January 2005, the council granted planning permission to Bewley’s Oriental Cafes, the then owners of the Westmoreland Street site, to redevelop the cafe and change the ground-floor use from a cafe to retail outlet. The decision was appealed to An Bord Pleanála by the Save Bewleys Cafe Campaign and An Taisce, and the change of use was refused by the planning board in June 2005. The premises was subsequently sold in September 2006 to a group involving former Bewley’s managing director Col Campbell, property developer Simon Kelly and the Thomas Read Group, which owned several Dublin bars and restaurants, in a deal reported to be worth about €25 million. The Thomas Read Group was to manage the Westmoreland Street premises as a cafe and restaurant, but the plans never came to fruition and the building subsequently went into receivership. The council had reached an agreement with receiver Jim Hamilton that repairs would be carried out to the windows by a specialist stained-glass conservator under the supervision of a conservation architect. However, it is understood that the building has recently been sold and the damage has not been repaired. Chairman of the National Conservation and Heritage group Damien Cassidy, who alerted the council to the broken windows, criticised the failure to protect them. Mr Cassidy said his group offered its assistance to the council to protect the windows, but the offer had not been taken up.